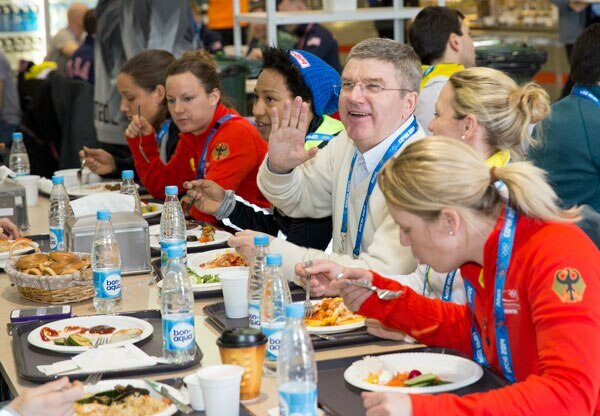 Saying he was looking forward to getting firsthand feedback of the Sochi 2014 Olympic Winter Games from the athletes, International Olympic Committee (IOC) President Thomas Bach today moved into his room in the Olympic Village before enjoying a bite to eat with a group of Olympians at the Athlete Dining Hall. 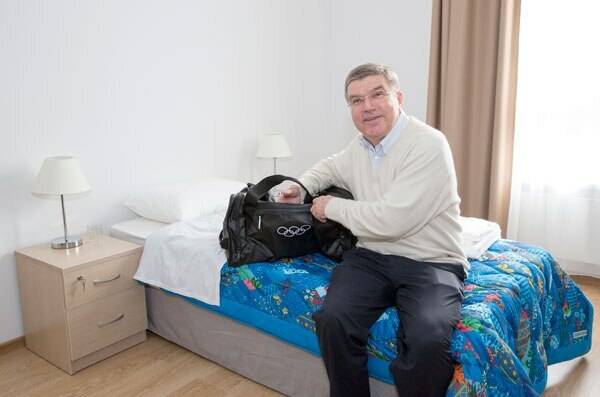 It is not the first time that President Bach has bedded down at an Olympic Village. As a gold medallist at the Montreal 1976 Olympic Summer Games, he lived with his fellow athletes for a month, an experience he looks back on fondly. “The Olympic Village is where the Olympic spirit lives. It is where people of different nationalities and backgrounds live in peace and harmony. Everyone who has experienced it wants to experience it again,” he said.